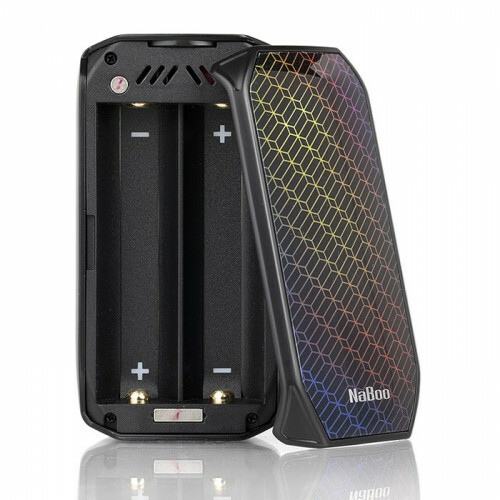 The Smoant NABOO 225W Box Mod presents a timeless crafted vape mod design, focused on ergonomics with a large 2.4" TFT Color Screen with unique UI powered by a high-power chipset with full temperature suite. The Smoant Naboo 225W Box Mod deploys customize-able User Interface with three different modes: Classic, Dial, and Music Mode. Thanks to the integrated Ant225 chipset, the NABOO has rapid firing speed of 0.015s. 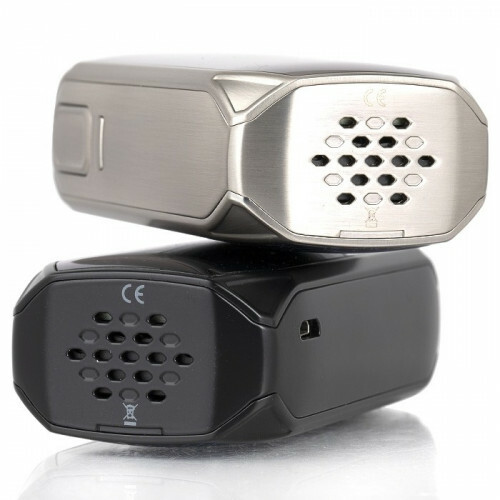 The extensive temperature control suite can be used to match the style of vaping to the user, and is capable of matching the resistance to specific compositions of heating elements and wires. 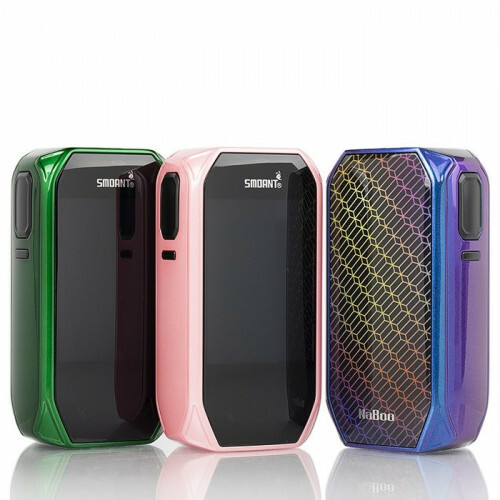 Furthermore, the Smoant Naboo 225W Starter Kit has tactile touch buttons for intuitive adjustments, Independent Lock Button to prevent accidental fire, and a large firing button.